It was another day, last night i was sleeping in nature lap. This morning is different from other morning. I was waking with birds sound, rivers, open sky which surrounded with high mountains. I was feeling like i am dreaming but it was true. People were sitting outside from their camps. Some doing yoga, some cheat-chatting, gossiping. Early we had taken our breakfast and leave the camp because today we have to explore many popular places. First we went for Laxman Jhoola. You can also say this Hanging Jhoola. Standing here you can get a different view of river Ganga. 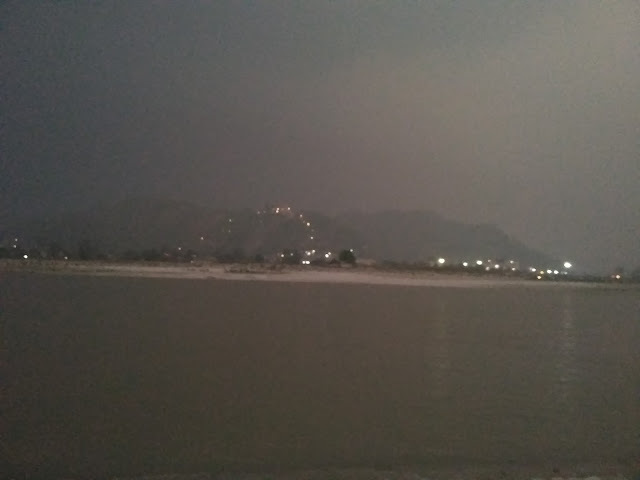 Both banks of river are clearly visible . After this we reached Ram Jhoola which is nearly situated to Laxman Jhoola. 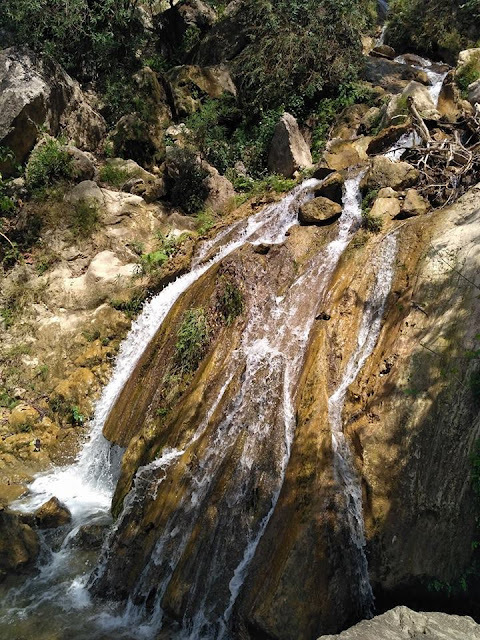 Now it's time to go for Neer Waterfall. We reached here around 12 pm . We all set to go inside, water was very chill. I had clicked many pictures of this, it's looking very beautiful from here . We spend more than 2 hours in waterfall. Lots of fun happen here. 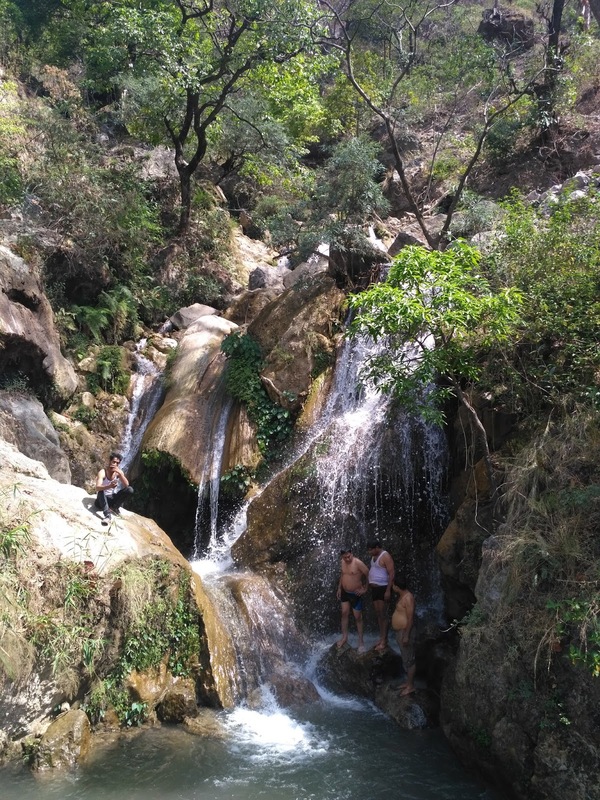 If you go Rishikesh you must go to Neer Waterfall. After this we changed and move further. Now it’s all done and we were approaching to our places . And till night we were reached to their home. Everyone said goodbye to each other with a promise that we will meet again very soon. And will do some fantastic like this. This trip will remain very special for me always. 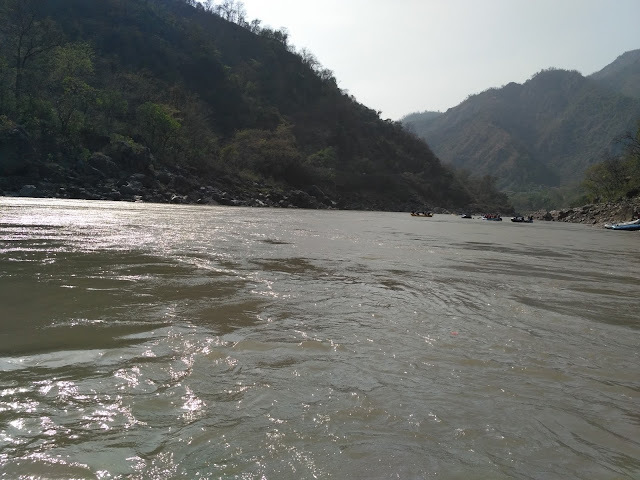 This was our weekend two days Haridwar - Rishikesh trip. The city of devotion, prayers and adventure. As we started our journey from delhi at 11:00 pm . We were five friends in a car. We were enjoying our travel with antakshari and gossiping . After 4.30 hours we reached first Haridwar- Kali Mandir(4.00am) . The gate was closed when we arrived. Everywhere was darkness, dogs were barking. After some time the gate has opened and we enter inside. 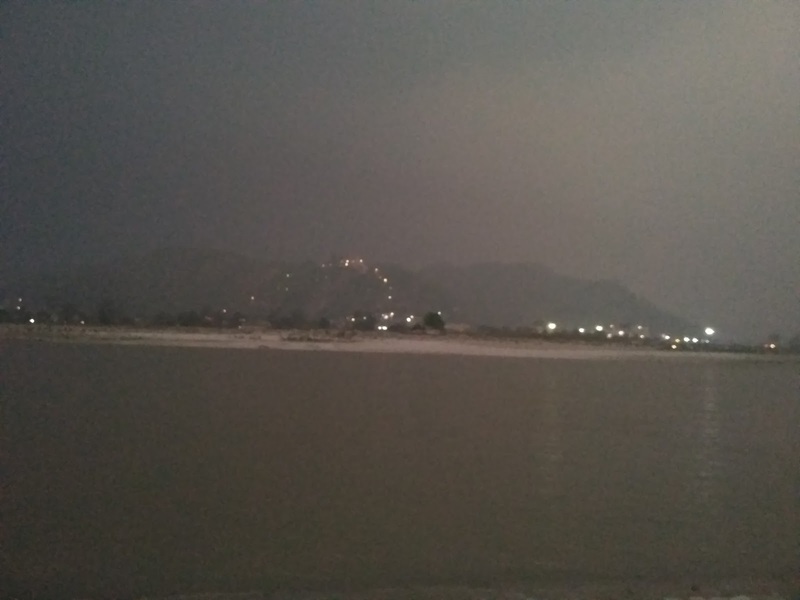 Then at 5:00 am were ready to take bath in river GANGA. It is just behind of the temple. You can't belive, i never forget that moment when we enter in the river , we all are very afraid due to darkness, flow of river, and stormy wind making fear in our body. We were holding the hand of each other and taken first dip and after that we enjoyed alot and had worship of God. Sudden weather changed and started raining . when it stop we were go outside and take the tea. Ahhhaa what a feeling Rain, cool wind and tea , great combination of a great morning. After taking this break we started Chandi Devi climb. Chandi Devi Temple is situated at the top of hills Neel Parvat. 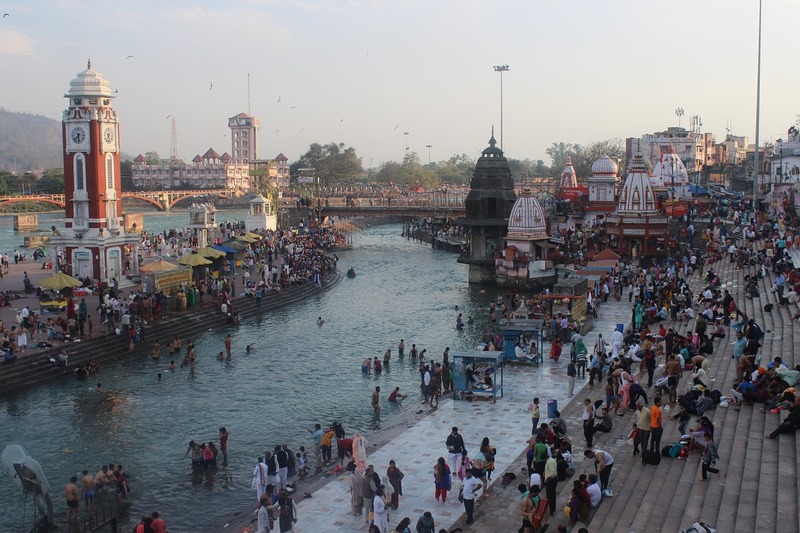 It is a shakti Peethas and one of the most famous temple in north india. It is beleived that Chandika Devi rested here for some time so it's named as Chandika Devi temple. 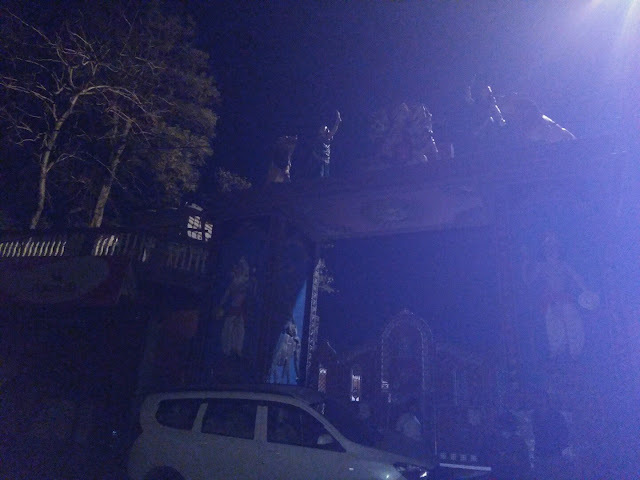 Finally we reached at Chandi Devi temple and had prayer in the temple . when we see from there we feel that we were at very high point . The whole way was full with natural beauty, different trees and of course so many monkies on the road and trees, but they did not bother us. We all became very tired so decided to sit somewhere. We had taken so many pictures and videos. Now it’s time to back we started to return, it was easy as compare to climbing .We came to down side. 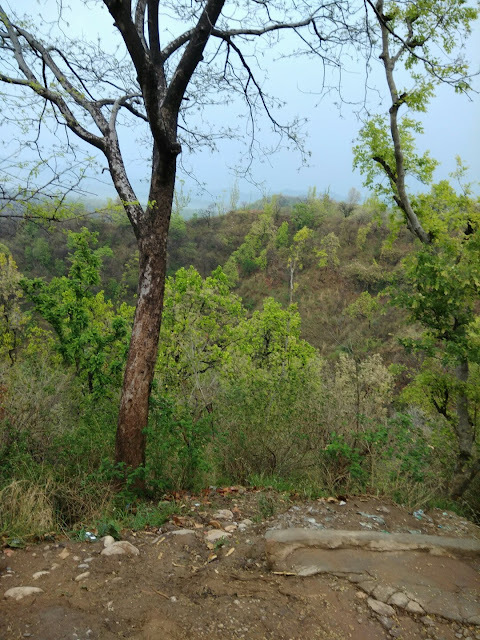 We also visited Jungle which was helding near of Haridwar –Rajaji National Park . It I spread around 820 SQ KM . 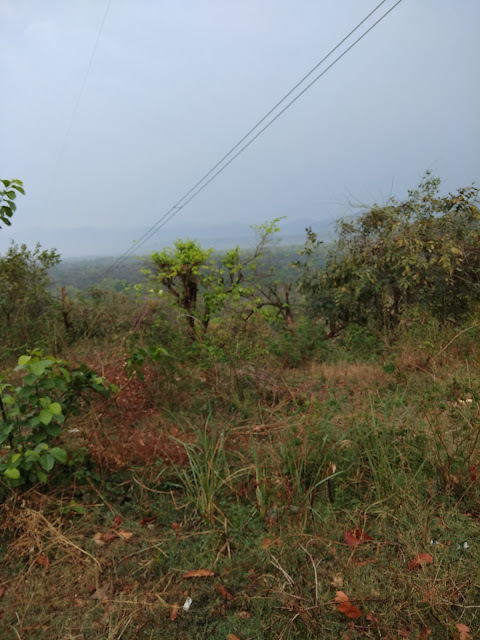 We had listen from others that there were tigers found, we had not seen tigers but other animals like deer, asian elephants, tiger, king cobra, chital, wild boar, python etc. You can take Jeep Safari and Elephant Safari here. Rajaji National Park is best holiday destination for nature lover and wildlife enthusiasts . Best time to visit here, is november to june . The forest area is famous for it's trees like sal, teak, sagon, uk liptus etc. 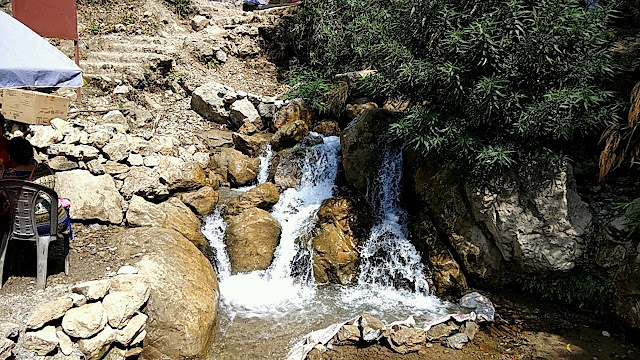 You will find yourself more near to Himalayan beauty . 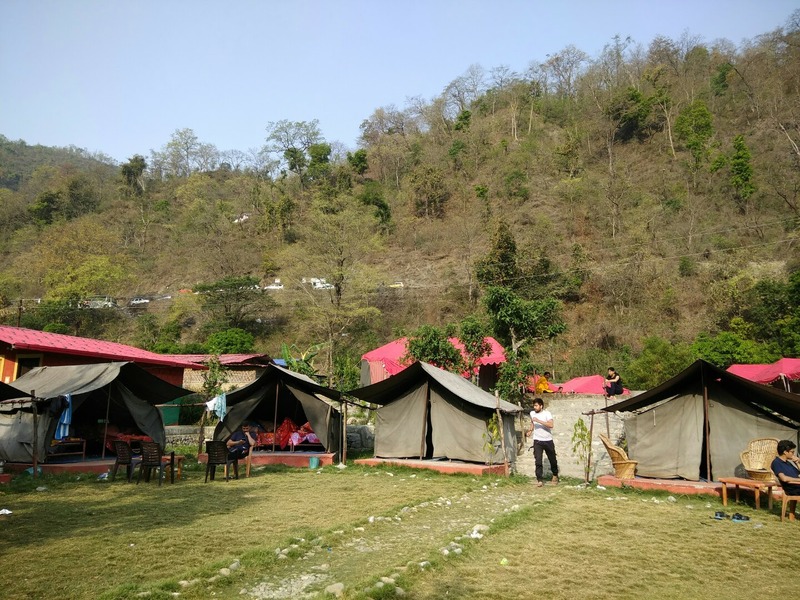 After this we moved to Rishikesh. 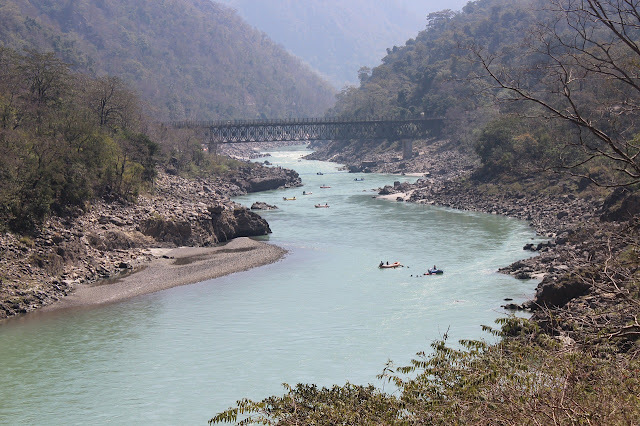 An hour journey we reached Rishikesh. At 2.00 pm. 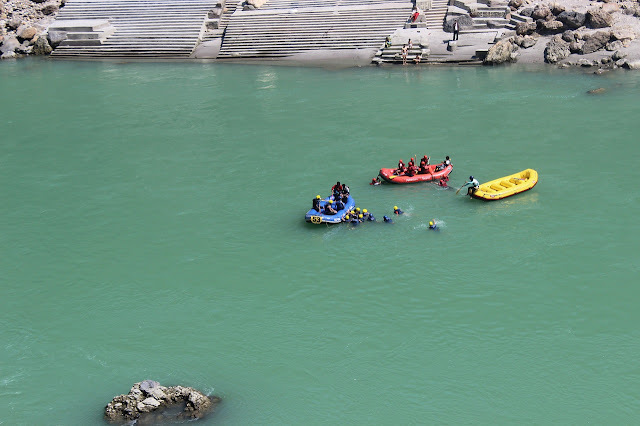 we reached at shivpuri for river rafting. 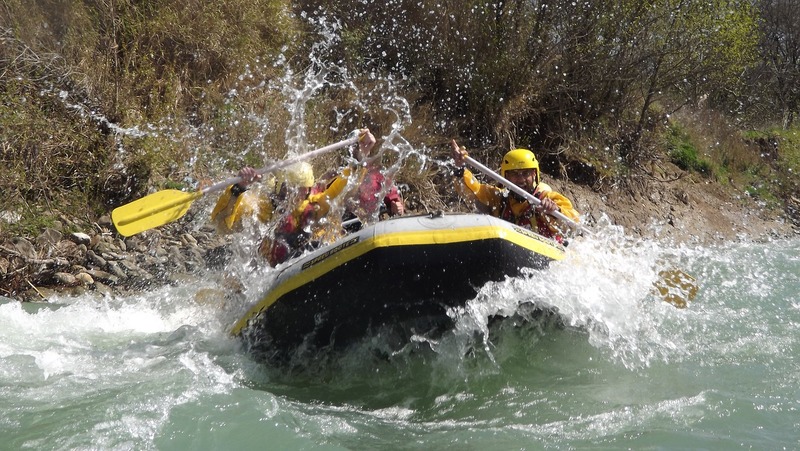 If, we mention rafting, it creates a thrill in our body. we were five friends and other group member on that raft. we started our rafting journey with master's instruction that how to hold paddle, get down and up, holding rope and making balance. We started, slowly-slowly we were getting inside(mid) of the river Ganga . Many groups of rafts coming there as we joining cheers. That was happy moment and we were cheering, hooting , singing in loud. I was holding a paddle and moving that opposite of the boat. I was 18 km long rafting . In this we met with many rapids on the way . One of the biggest rapid came across to us and we all were inside the water, the flow was so high. After that our instructor stop the raft at a point where river flow was slow. And said you can get down from the boat and enjoy. One by one we get down into the water and holding the rope. We already have life jackets so there is no chance to fear but for our more safety we have to do this. That time i was feeling that i am flying in the sky and there is no restrictions. I was not able to put my leg down on earth because we were into very deep place. After that we reached at cliff jumping point, this place was very crowded with people. Cliff jumping experience was totally different, i felt like i was dead and then someone had gave oxygen to me then alive-Unforgettable moment . Again we reached on their boats to start again . Soon we reached at our last point where we clicked some moments in our cameras. Doing all these things we reached our camp which was in Shivpuri. In the camp we had taken our snacks. After we rested for some time. Around 9: 30 we had taken our dinner which was very delicious . Born fire, music, dance ,all happening around us . I was eagerly waiting for it, we all are full on mood . So first day was little tiring but a great day we had spend all together. WILL COME BACK WITH DAY -2 JOURNEY. How to start, it was an amazing journey to Jaipur . Jaipur is known as pink city and famous for its handicrafts and for chanderi sarees. When we enter in the city the every wall was in pink colour, it was making Jaipur different from others. Historical places and Rajwada style make jaipur more different from other cities . 1. 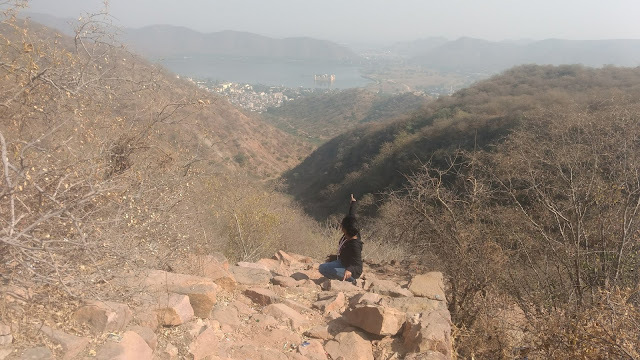 Amer Fort: It is very old fort and spread in very large area. there is much greenery to outside. The fort has many rooms, ranivas, washrooms, hot water where to come and how to come all systematically arranged that time. There is also an open hall for the 'SABHA' where king takes important decisions. From the fort , outside view of city is like, i was exploring the whole city from here. 2. Jal Mahal: It is situated in the mid of water and a 5 story building. Before sometime ago people go there to visit it nearly but current scenario is different, this is a restricted area ,you can not enter inside the Mahal . But you can see it from outside . It looks beauty in river. 3. 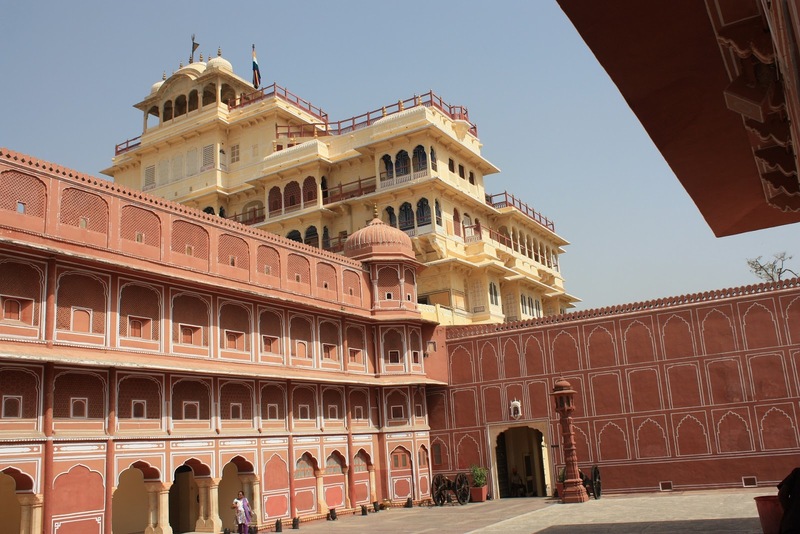 City Palace: City Palace is the centre of attraction of the jaipur city. It was the palace of Raja Man Singh 2 . It is maintain very beautifully. Here you can also see the two big silver JUG. 4. 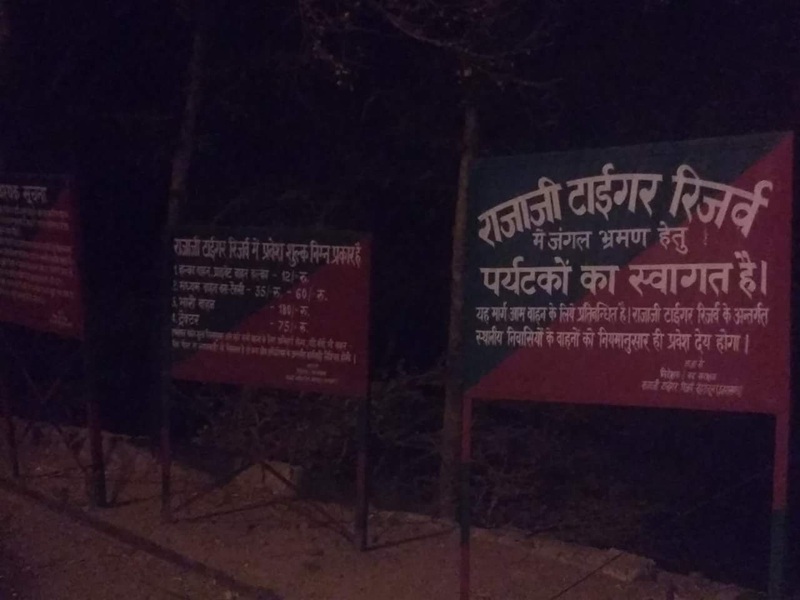 Jantar -Mantar: You must visit to this place , It has all geographical instruments here like how earth moves, when sun rise how to calculate ,pyramids etc. We have spended much time here to analysis the instruments that has amazing bonding . 5. 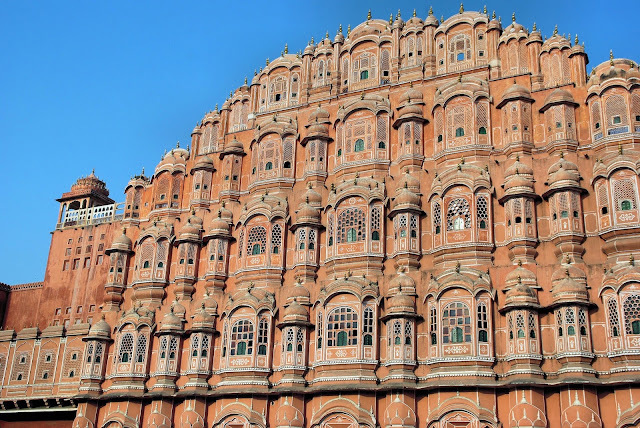 Hawa-Mahal: Now we reached here at evening time, Hawa mahal situated in the middle of city and always surrounded with crowd. The specialty of this Mahal , it has so many windows and each and every corner full with airs. It had amazing architecture of that time. 6. Nahargarh Fort : This fort is made by King Jai Singh . It is located on the rocky ridge of Aravalli Hills, Nahargarh Fort offers the most shining view of Jaipur’s scenic landscape. During the night, when the entire Jaipur city gets lit up, Nahargarh Fort offers the most sparkling beauty view of the entire city. 7. 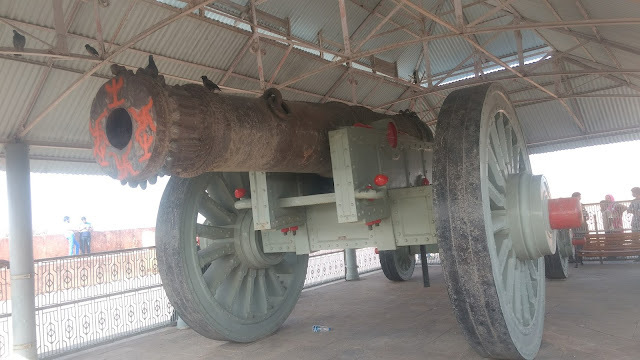 Jaigarh Fort: Jaigarh is not much far from Nahargarh Fort. It is unique in itself . It has very long path between nahar garh and jaigarh . 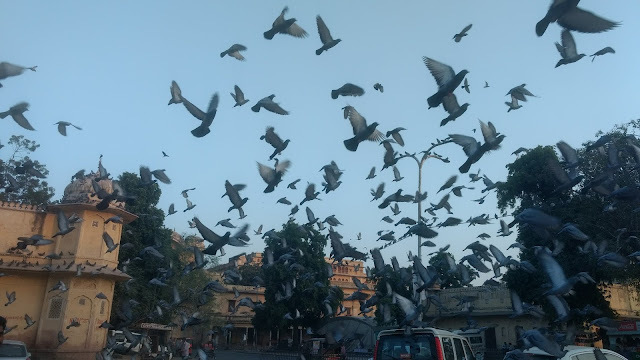 8.Local Market: You can visit local market of jaipur city, And can also shop some handicrafts, beautiful saries, childrens toys and RAJASTHANI PHOSHAK(CHACHARA CHOLI ,Bags, TURBAN with KURTA PAYAJAMA) etc. So I would say that you must visit theseplaces when you enter in Jaipur.